get hitched give hope | i Love Facedowns! Love these Facedowns :: Friends Style!! The last Tuesday Toast was a FABULOUS one!! 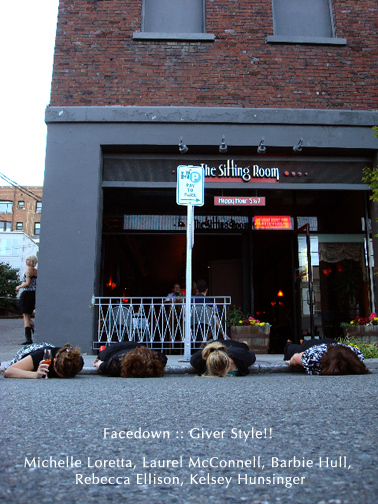 We shared this novel idea… the FACEDOWN PHENOM! 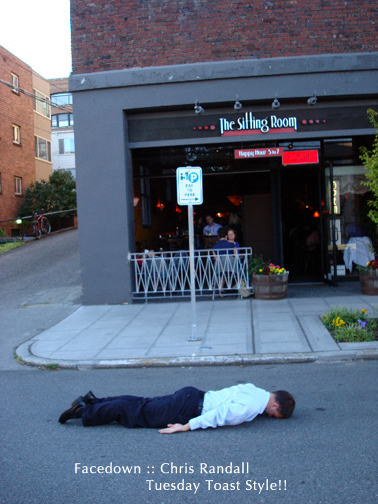 Before I knew what was happening, Chris (from Edit 1 Media) was facedown!! BAM! Just like that!! Aaaah yes – some of my favorite facedowners!! On vacation!! 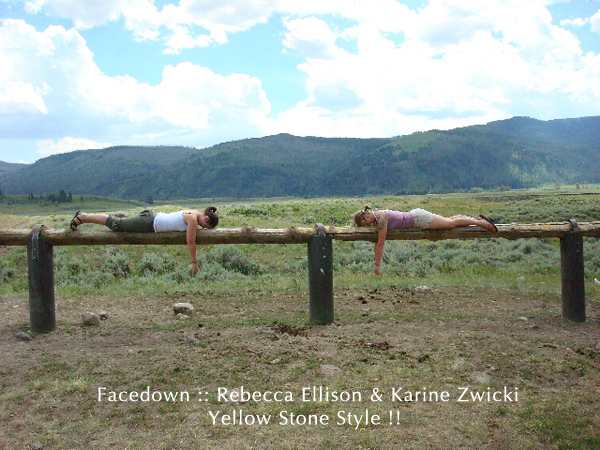 More like facedowncation! I LOVE IT! Thanks guys for giving us these awesome backdrops of Jellystone.. 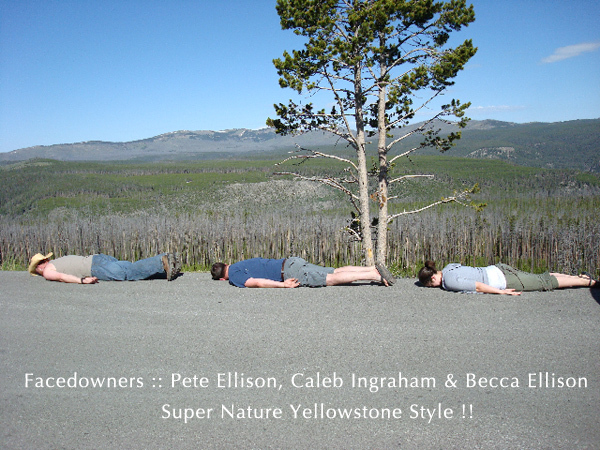 I mean Yellowstone!! BEAUTIFUL!! 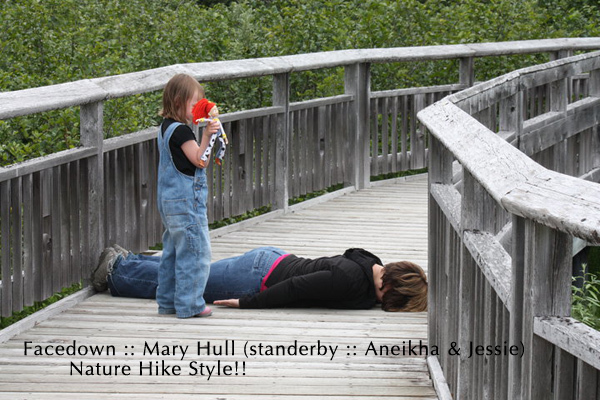 Then, last but certainly not least, Mary & Aneikha (new facedowners with MANY awesome submissions already!!) Thanks for playing you guys!! These photos rock! !